SUMMIT BLOCK PARTY // 2015 from Ben Schauland on Vimeo. The annual Summit Block Party brings Seattle's artistic community together; showcases local artists, musicians, and craft-makers; and promotes the acceptance of all races, sexual orientations, and socioeconomic classes. 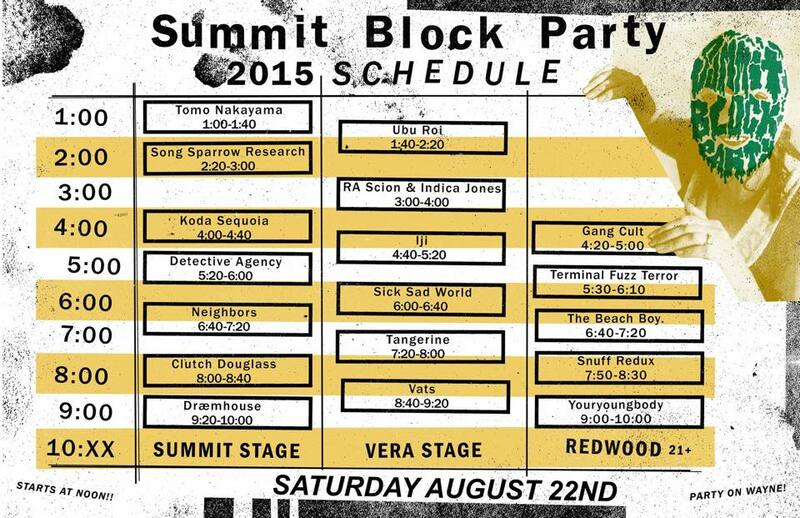 Summit Block Party is a free, non-profit, volunteer-run event, and is fueled by community support. We put a ton of work into making Summit Block Party happen because we believe in the importance of keeping free, all-ages music & arts events alive in Seattle. No one helping throw this event makes any money from it. It is a true labor of love for everyone involved, and we think it shows.